As the weather has warmed my bicycle activity has increased… so has my frustration with my fellow citizen drivers. People driving cars straight hate bike riders. No matter what, in just about any circumstance the two meet. Drivers honk horns and look leeringly annoyed as they pass in cool metal machines at top pace, or drive up all on you cause they’re bigger and won’t die or be seriously damaged if this chicken/biker rage episode should go horribly astray. 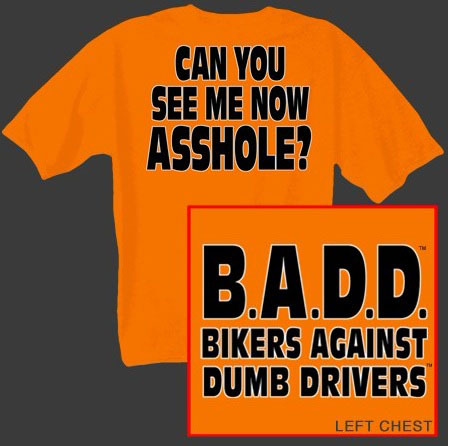 Truthfully drivers must dislike bikers, its just the natural order,and sure bikers yell their fair share back and do things like go wrong ways on one streets that flip out motorists and what not. Plus I’d bet if you reach deep back in yr memory banks to before you biked around all the time and had a car there are even some biker rage episodes that aren’t so all-types-of-vehicles-on-the-road inclusive. ALL we’re saying is the constant traffic nag and back+forth is making us assholeNYers even if we don’t wanna be. ~ by MikelJason on May 3, 2008. Yeah drivers have to get mad watching bikers get around for free, because really, when you spend 50 bucks to fill up, $6000 a year for insurance, $300 a month to pay off your car, and you’re still getting passed by those biker freeloaders in NYC traffic, it’s just easier to hate on them, then address your own stupidity.